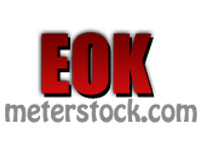 EOK meter and instrument stock Co., Ltd.
Best prices. Best service. Best meters. EOK meter locates in prosperous Shenzhen City. We are professional manufacturers in testing meters and instruments. We specialize in optical instruments, gemstone identify tools, consumer electronics and measuring instruments etc... We provide the most creative, reliable, high quality products and provided a wide range of products and related services to the global markets. Our products have been successfully promoted in many countries, particularly in Europe, North America, Australia, Japan and Korea. Through many years of experience in the industry and backed by our strong engineering team, we are experienced in handling OEM/ODM projects. We offer best prices, best service and best meters! Please contact us with any questions you may have or for references regarding our services. Offer our customers the low price.